Overhaul of the vanilla diving experience modeled on the game Subnautica. Note: Newer versions may be incompatible with worlds created with older versions! Questions and other comments on the Project Page please! When posting issues there please use a spoiler for your crash report. I also set up a GitHub Page where you can post issues. You swim in the looking direction instead of just straight forward. So if you look upwards you will swim upwards. Swimming at the surface doubles swimspeed penalities and bonuses. Minimum and maximum swimspeed limits. You can dive for 45 seconds with taking one deep breath of air. Every level of the Respiration enchantment allows you to stay 15 seconds longer under water (up to +45 seconds). 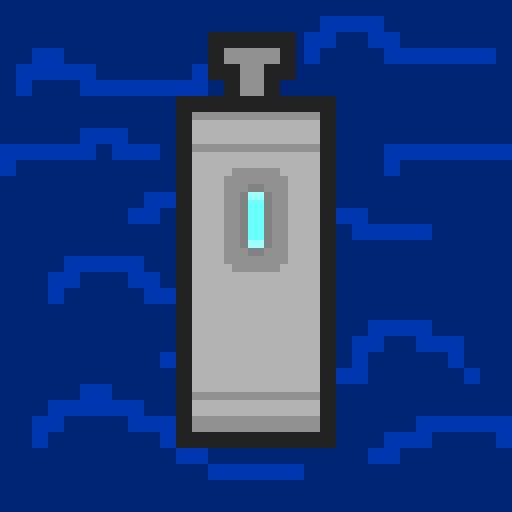 Every 30 blocks below surface oxygen efficiency is decreased and so you consume more oxygen (the next air block over the player is counted as the surface). Breaking blocks under water works at 60% of normal efficiency. With the Aqua Affinity enchantment you break blocks underwater at 80% efficiency. There are currently 3 versions of each item. A basic version. An improved version for increased perks. And a reinforced versions with more armor points. Removes the water block overlay when diving. Needed for diving with Oxygen Tanks. With the improved version you can dive at normal efficiency at depths greater than 30 blocks. Hold oxygen for longer dive sessions. Wearing slightly decreases the players swimspeed. Wearing wetsuit leggings improve the players breakspeed under water. Increase the swimspeed of the player. Diving deeper increases fog density. During night fog gets more dense and turns darker. Generates between y=30 and y=44. Used in crafting recipes. Grows seeds which also are used for crafting. Breaking it drops Titanium (60% chance) or Copper Ore (40% chance). Breaking it drops Titanium (70% chance) or Silver Ore (30% chance). Is it possible to only disable the ores in the config? I would like to install this but am a bit worried the ores would break the progression of my modpack. Edit: Seems like it is, currently having issues with WAILA not displaying block names right for creepvines and seagrass tho. Yes, you can disable the ore generation in the config file. But the recipes will remain the same. Could we get options to disable the diving suit? I love the mod overall but not a fan of the suit. The oxygen system and worldgen are gorgeous however. I plan on adding a config option for recipes (0: disabled, 1: vanilla resources, 2: custom resources). Otherwise i don't see a problem with the items since you can easily ignore them. But i may add a config option if you point out why it's so important. It's nothing in particular, I am just someone who has a high preference for medieval fantasy type settings and while I absolutely love everything else your mod offers, the diving suit eats away at me. I run a server and even if I do disable the recipe, seeing its presence can be a bit immersion breaking. Since it's not that hard to make an config option for that i will probably add that in the next update. I know that there is a problem with fog. But what do you mean with "when it pushes you above water"? My mod shouldn't push you in any direction when in water unless you press a key. I don't really know how you can fix the bug. But setting visionUnderWater to false will disable all altering of the vision underwater including fog and the water block overlay. Why the config doesn't show from the forge gui? Please, fix it if you can. And a request, please make a way to hide any respiration gui form any hud mod, like classic bar, ignite hud or any other. I haven't implemented that the config can be altered while playing, but i can add that in the next update. But i won't add a way to hide the other HUDs. Since i would have to check for every HUD mod and than hide a part of it's HUD. (some of these mods also don't show their code so it would be hard even harder). You could ask the other mod makers for a config option to hide the oxygen part of their HUD. Ok, thank you anyways. What a good mod btw. I'm not sure if understand correctly what you mean but you can move the Oxygen Gui with the config settings. Bit of a random question, but I have the ToxicRain mod in a modpack I've made. Looking to add your mod in... The water in my world will be poisonous, but if I was to wear the gear from your mod would this negate the poison effect? the kelp plant and seagrass will generate in ocean biome? Yes. You can also add/remove biomes in the config and set the chance at which it will generate.